Following the successful submission of a BIG LOTTERY FUNDED People and Places application, Displaced People in Action (DPIA) were, in October 2014, awarded three year funding to work with Swansea and Cardiff Cities of Sanctuary,. DPIA will manage the project in partnership with both the Swansea and Cardiff Groups. Most of the work will take place in the two cities with considerable joint work between them. Celebrate their contribution to city life. To transform the experience of asylum seekers and refugees living in Cities across Wales for the better. What would our vision look like in practice? Wherever people seeking sanctuary go in Welsh cities – e.g. schools, services, voluntary groups, businesses, faith and community groups, their own neighbourhoods and streets– they would find people who welcome them, understand why they are here, support them, and, most important of all include them actively as participants, volunteers and members. Exhibitions, conferences, social media etc. We also have a website hosted by City of Sanctuary nationally. Could you give someone a warm Swansea welcome? 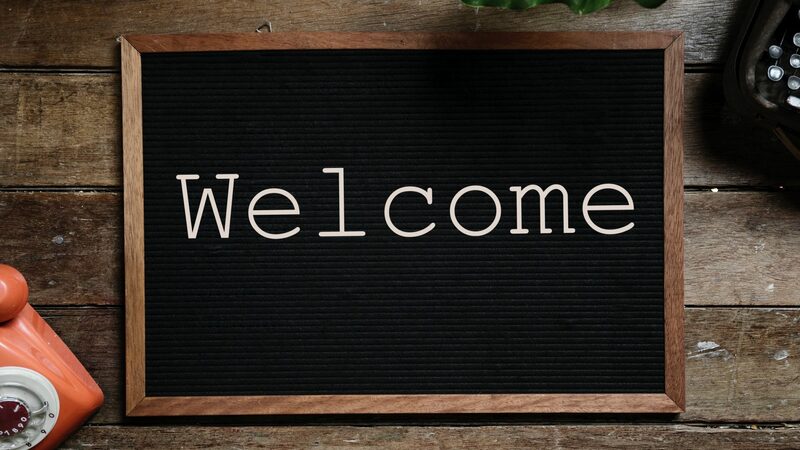 ‘Welcome to Swansea’ is a project which aims to provide a warm welcome to asylum seekers and refugees (participants) when they first arrive in Swansea. Participants will be met by a volunteer mentor who will introduce them to places, people and groups. The purpose of the project is to support participants to do the everyday things that are important to them. For instance volunteers might be involved in demonstrating bus routes, supporting to attend social groups or just getting to know Swansea a bit more. DPIA’s Wales Cities of Sanctuary project are pleased to announce we are launching brand new ‘Wednesday welcome sessions’ starting from next week. Every Wednesday between 12-2pm a group of welcome volunteers will be in Swansea Central Library to meet new arrivals and pass on local information about drop-ins, classes, transport etc. It’s also an opportunity for people to sign up to our mentoring programme if they feel this would be useful for them. The sessions are designed to be a one-off opportunity for people to get information they need and not a regular social activity. If you are in contact with people who are newly arrived then please do pass this information on. Please see flyer A (in English). We are working on translations and will add translated leaflets to our website for downloading when they are ready. The Sanctuary Speakers are a team of volunteers which is the public face of City of Sanctuary. By speaking directly to organisations, many of which will be pledged supporters of City of Sanctuary, speakers provide a valuable insight into the life of refugees and asylum seekers. Members of the Sanctuary Speakers get full training and support, as well as an opportunity to design the structure of the talks and workshops. If you would like to share your valuable experience as a member of the Sanctuary Speakers, please contact eleri@dpia.org.uk for an application form. Some of the organisations the Sanctuary Speakers have spoken to this year include Linden Church, Swansea Library staff, members of the Royal Institution of South Wales and Swansea ITeC. More information about the role can be found on the role profile and leaflet below. We live by the motto “City of Sanctuary is what our supporters do”- we want everywhere across the city to be a place that welcomes and supports refugees and asylum seekers and a place that celebrates the contribution they can have. We have a network of over 150 pledged supporters, including organisations, community groups, faith groups and businesses throughout Swansea. If your organisation is pledged, why not invite the Sanctuary Speakers to deliver an awareness-raising session to your staff, trustees or volunteers. If you belong to a pledged organisation in Swansea, contact Eleri to discuss putting your pledge into action. Eleri can be reached on eleri@dpia.org.uk or 07496 172 898. If you don’t represent an organisation, it doesn’t stop you from getting involved with our work. You can be an individual supporter too. ‘City of Sanctuary’ is a movement of people across the UK and Ireland who seek to create a culture of hospitality and welcome for people seeking sanctuary. As well as two established ‘Cities of Sanctuary’ in Swansea and Cardiff, people across Wales have been responding to the refugee crisis in towns and villages across the country, setting up schemes which offer support and welcome. The generosity and compassion of people in Wales should be recognized and celebrated. The Welsh Refugee Coalition, a coalition of organisations working in Wales with asylum seekers and refugees at all stages of their journey, supports the establishment of Wales as the world’s first ‘Nation of Sanctuary’. The Welsh Government can play its part in making this a reality by publicly supporting the movement, and by enacting policies and practices which promote safety and inclusion for all asylum seekers and refugees in Wales. Have a look below at the briefing papers for AM’s to see the asks and vision for Wales as a Nation of Sanctuary. We have a variety of opportunities including two rather special roles – being a Sanctuary Speaker and a Welcome to Swansea Mentor. If you belong to an organisation see if it is already pledged to us, and if it’s not get in touch to find out more. Pledged organisations pass a resolution of support and make action plans about what work their organisation can undertake to promote the vision of City of Sanctuary. We can help you with this- just get in touch. Pledged organisations are added to our mailing list and will get monthly updates with upcoming events and ways to get involved. If your organisation is already pledged, why not invite the Sanctuary Speakers to deliver an awareness-raising session to your staff, trustees or volunteers. If you belong to a pledged organisation in Swansea, contact Eleri to discuss putting your pledge into action. Eleri can be reached on eleri@dpia.org.uk or 07496 172 898. Don’t worry if you’re not part of an organisation, you can still get involved- you can be an individual supporter. richenda@dpia.org.uk 07496 172895 – Swansea Co-ordinator. eleri@dpia.org.uk 07496 172898 – Swansea Development Worker. hannah@dpia.org.uk 07496 172896 – Swansea Integration Officer.